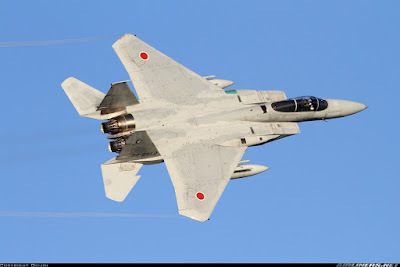 KUALA LUMPUR: Japan is willing to offer new defence equipment and technologies, including military aircraft to Malaysia as part of enhanced bilateral security ties, Japan’s envoy to Malaysia said. Dr Makio Miyagawa told the New Straits Times the offer by Tokyo would help strengthen Malaysia’s capability of “maintaining peace and stability” in Southeast Asia. He said in an interview that in this regard, Japan was “willing to offer our equipment and technologies to Malaysia, which include aircraft, vessels, radar and other items”. Japan and Malaysia had, in September, signed a memorandum of understanding (MoU) to intensify defence and security cooperation. The MoU was signed in Japan on Sept 11 by Japan’s then defence minister Itsunori Onodera and his Malaysian counterpart, Mohamad Sabu. Tokyo has said the MoU provided a structure for expanded collaboration across a range of activities, including defence equipment and technologies, military-to-military exchanges, joint maritime security and disaster relief operations. Both sides had concluded an agreement to transfer defence and technologies to Malaysia, he added. “Aircraft, vessels and radars can be transferred to Malaysia,” Miyagawa said. In terms of defence technologies, Tokyo said the MoU had strengthened an agreement that was signed in Kuala Lumpur in April by Miyagawa and Malaysia’s Defence Ministry secretary-general Datuk Seri Abdul Rahim Mohamad Radzi. The MoU signing on defence collaboration marked yet another effort by both countries to further boost their security ties. This comes in the wake of warmer Kuala Lumpur-Tokyo bilateral ties following the election of a new government in Malaysia, which saw the return of former premier Tun Dr Mahathir Mohamad to power. Boosting Malaysia-Japan relations had been a major focus for Dr Mahathir during his previous tenure as prime minister under the banner of the so-called Look East Policy. Defence analysts said Malaysia had a longstanding security relationship with Japan, with both nations sharing a number of concerns on the defence issues, including but not limited to China’s rising maritime assertiveness in the South China Sea. The strategic partnership that the two countries inked back in 2015 contained a heavy security focus as well, which included not only an increased focus on engagements like military exercises, but also Japan helping boost Malaysia’s capabilities through more advanced transfers of defence equipment and technology and other forms of knowledge sharing and capacity building. Mohamad Sabu has said such pacts serve as umbrella agreements around which collaboration can occur, and that Malaysia also recognises Japan’s longstanding significance as a security partner in areas ranging from defence equipment to peacekeeping. Unsurprisingly, few specifics were provided then on the detailed contents of the agreement. Malaysian Defence Ministry’s shopping list includes a mix of both manned and unmanned aerial platforms to fulfil the country’s maritime patrol requirements. Mohamad Sabu has assured that the new administration, which came to power in May, would honour plans made under the previous government. These include a programme to equip the Royal Malaysian Air Force with new maritime patrol aircraft. 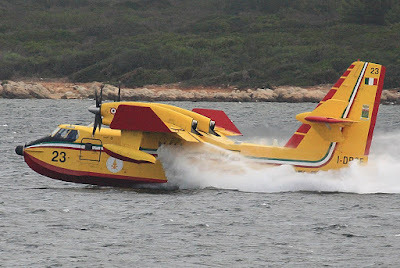 However, the government is now making cost comparisons between manned and unmanned aircraft, and may eventually decide on a combination of both types to fulfil the country’s maritime surveillance requirements. The minister did not however give details on the types of equipment being compared. 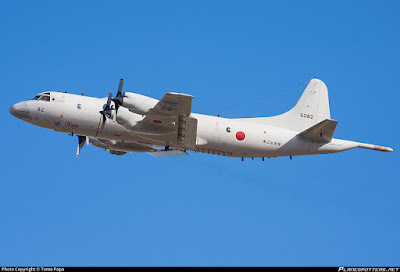 Defence News, a defence magazine, had earlier reported that Malaysia had requested from Japan its Lockheed Martin P-3 Orion aircraft that are being progressively retired by the Japan Maritime Self-Defence Force. Japan’s recently revised Self-Defence Forces Law is clearing the way for such a donation to happen. Royal Thai Army's new two Mil Mi-17V5 transport helicopters was delivered by Ilyushin IL-76TD Strategic Airlifter. Russian airline of Aviacon Zitotrans has landed heavy jet registration number 'RA-76842' at the U-Tapao International Airport, Royal Thai Navy Airfield in late December 2018. 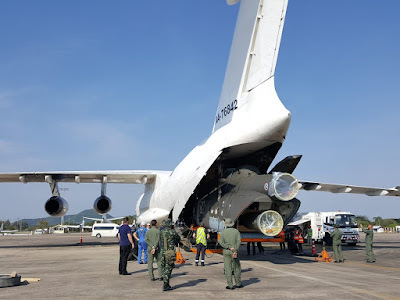 The image can be seen, transport room of the aircraft carrier IL-76TD Aviacon Zitotrans Airlines of Russia has transported helicopters for general use Mil Mi-17V5 of the RTA (Royal Thai Army) which can be confirmed by camouflage colors and marks on the body of helicopter. Making it understandable that this should be the Mi-17V5 is a new set of 2 units that the Royal Thai Army has ordered in the year 2017 to serve in 41st Aviation Battalion, Department of Aviation, Army Aviation Center. The Royal Thai Army has provided the 16 Mi-17V5, previously active 5 helicopters divided into the first 3 sets of helicopters in 2008 active in the year 2011, second series 2 helicopters in 2014, when combined with the latest series 2 helicopters will be totally 7 helicopters. "as far as Thailand is concerned. Ansat helicopters and Mi-171A2 have received a lot of attention. The Royal Thai Police (Royal Thai Police) is interested in purchasing Ansat also includes Mi-171A2 in the search and rescue model," Boginsky said as he was on a visit to Thailand. "In addition, we are in the process of negotiating the highly desirable Ka-32 helicopter sales in Thailand. In South Korea and China, Ka-32 can be used to extinguish fire. It has the ability to move the system to stop wildfire," added Boginsky. He recalled that the Russian Helicopters had previously reached an agreement to sell the 16 Mi-17V-5 to the Thai Army previously. Under the previously agreed terms, Russian Helicopters have delivered two helicopters for general purpose Mi-17V-5 for the Royal Thai Army on 28 December. "They have been assembled and tested. The delivery process has been implemented. The helicopter has received acclaim to show victory (in Southeast Asia) is the way we understand it," emphasized Boginsky. It is understood that the Thai Army has the need to supply additional 16 Mi-17V5 helicopters to replace the helicopters Boeing CH-47D Chinook. 9 used from United States to be in the General Support Wing (current 41st Aviation Battalion) has been redeemed with three UH-60A Black Hawk (Refurbished) general purpose helicopter. Russian Helicopters and Datagate company, a Russian partner, have also looked at the possibility of creating a Russian helicopter service center in Thailand. 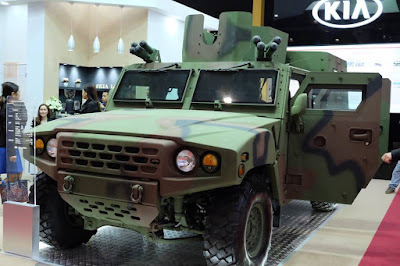 The Philippine Army now has the three Light Tactical Vehicles (LTVs) reportedly provided by Kia Motors Corporation as “freebie” units for evaluation. The Department of National Defense (DND) made several acquisitions of military truck from Kia for the Philippine Army and Marines. 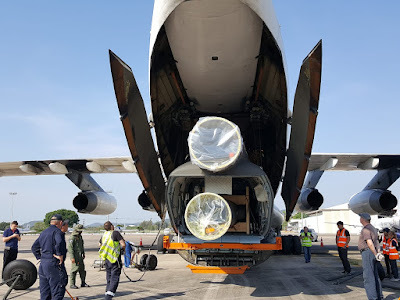 “We received confirmation with evidence (aside from the photos below) on the delivery of 2 new KIA KLTV to the AFP, which is part of the previously reported “freebie” evaluation units sent by KIA in anticipation of possible orders from the Philippine Army and Philippine Marine Corps,” MaxDefense said on December 27. The first KLTV was reportedly received by the Philippine Army early this year. The Army and the Marines are expected to launch acquisition projects for their respective LTVs. Kronologi, Jakarta – Pemerintah Indonesia melalui Kementerian Pertahanan telah memastikan pembelian pesawat tempur Sukhoi-35 untuk menggantikan F-5 Tiger milik TNI Angkatan Udara. 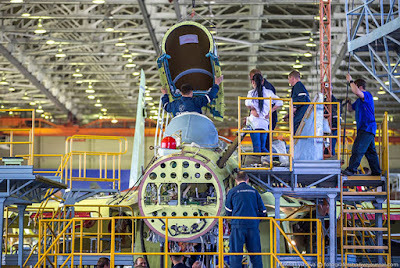 Salah satu yang ditekankan dalam kontrak pembelian pesawat canggih generasi 4,5 dari Rusia itu adalah terkait dengan transfer of technology (ToT) yang akan didapatkan oleh Indonesia. Ketua Bidang Transfer Teknologi dan Offset Komite Kebijakan Industri Pertahanan (KKIP), Laksamana Muda (Purn) Rahmad Lubis, mengungkapkan, ada dua teknologi yang akan ditekankan oleh pemerintah Indonesia dari kesepakatan kontrak pembelian Sukhoi-35. Dua teknologi itu, sebut Lubis, yakni di bidang pemeliharaan dan juga produksi komponen dari pesawat tempur Sukhoi-35 tersebut. “Jadi untuk pengganti pesawat F-5 Tiger dalam hal ini Sukhoi-35, kita akan minta ToT untuk pemeliharaan, kemudian produksi komponen,” kata Lubis di kantor Kemhan, Jakarta, Jumat (28/12/2018). Menurut Lubis, pihaknya akan terus mendorong dan memberikan pemahaman terhadap pihak Rusia untuk memberikan pengetahuan teknologi tersebut. Pasalnya, menurut dia, kewajiban ToT dalam setiap pembelian alutsista dari luar negeri itu adalah perintah dari undang-undang. “Kita harus pahamkam ke mereka bahwa itu undang-undang yang akan menjadi konsekuensi serius dari pemerintah kalau tidak menaati undang-undang itu,” tegasnya. Dia menilai, dua teknologi itu sangat penting untuk didapatkan oleh pemerintah Indonesia dan industri pertahanan. Dengan begitu, menurutnya, pihak Rusia berkewajiban untuk memenuhi keinginan pemerintah Indonesia tersebut. “Jadi kita tahu bagaimana cara memproduksi komponen dan bagaimana cara merawat Sukhoi-35,” tandasnya. Gen Kintanar revealed that the Philippine AIr Force is expecting the remaining 2 IAI Elta EL/M 2288ER AD STAR Extended Range Air Defense Radar from Israel . It is actually delayed already since the 2nd radar should already be delivered before the year ends but still undelivered as of this writing. It is known already that these is the fault of the suppliers themselves and it is expected for the Department of National Defense to impose punishment according to our law. These has been the reason why the PAF are considering looking into new suppliers of additional Air Defense Radars slated for acquisition for the Horizon 2 in which the US through Lockheed Martin is known offering the AN/FPS-117 while Japan also offered an Upgraded Variant of J/FPS-3. While there has been offers, it is expected for the PAF to still consider the AD STAR again for commonality of systems. The Philippine Air Force received the first AD STAR radar on the last quarter of 2017 and is already in service today. Garut - Balitbang Kemhan dalam hal ini yang terkait Puslitbang Alpalhan melaksanakan uji dinamis pengembangan roket jarak 100 Km ground to ground/R-Han 450 tahap II-III di Balai Uji Teknologi LAPAN Pamempeuk Garut, Jawa Barat. Uji dinamis pengembangan roket jarak 100 Km ground to ground/R-Han 450 tahap II-III disaksikan oleh Kabalitbang Kemhan Dr. Anne Kusmayati, Ses Balitbang Kemhan Laksma TNI Ir. A. Budiharja Raden, Kapuslitbang Alpalhan Balitbang Kemhan Brigjen TNI Abdullah Sani, Deputi LAPAN Dr. Rika Andiarti, GM Divisi Migas PT. Dahana Bapak Heri Heriswan, Kabid Matra Darat Puslitbang Alpalhan Balitbang Kemhan Kolonel Inf Setya hari, S.H., para pejabat di lingkungan Kemhan dan TNI, tim uji dinamis dari PT. LAPAN serta personel yang terkait. Kegiatan diawali sambutan pertama oleh Deputi LAPAN Dr. Rika Andiarti, kemudian sambutan kedua oleh Kabalitbang Kemhan Dr. Anne Kusmayati, sambutan ketiga dari Dirtekbang PT. Dahana Bapak Heri Heriswan, pembacaan doa, dilanjutkan uji dinamis pengembangan roket jarak 100 Km ground to ground/R-Han 450 dari tim PT. LAPAN dan terakhir evaluasi hasil pelaksanaan uji dinamis pengembangan roket jarak 100 Km ground to ground/R-Han 450. Dalam pelaksanaannya, program pengembangan roket jarak 100 Km ground to ground/R-Han 450 TA. 2018 adalah salah satu program kerjasama utama antara Balitbang Kemhan, PT. Dahana dengan Lembaga Penerbangan dan Antariksa Nasional (LAPAN). Roket R-Han 450 ini memiliki motor roket dengan massa propelan sebesar 760 kg. Motor roket ini dapat menghasilkan gaya dorong maksimum sebesar 12.000 kgf dan memiliki gaya dorong rata-rata sebesar 7000 kgf dengan waktu bakar selama 20 detik. Akselerasi maksimum yang dapat dialami oleh roket pada saat terbang dapat mencapai 13 G dan kecepatan maksimum roket dapat mencapai 4,7 Mach. Tujuan dari pelaksanaan uji dinamis R-Han 450 ini adalah untuk mendapatkan data dan mengetahui perilaku terbang roket selama di dalam lintasan, yang dapat dijadikan bahan analisa guna kesempurnaan pada program pengembangan roket R-Han 450 berikutnya. Target dari pengembangan roket R-Han 450 ini adalah bahwa roket terbang dengan baik dan stabil tanpa adanya anomali gerakan yang terjadi pada saat uji terbang. Di samping itu juga diharapkan data sensor gerak roket (akselerometer, gyro dan GPS) yang terdapat pada payload dapat bekerja dengan baik dan dapat ditransfer ke ground station secara utuh dan baik sejak awal peluncuran sampai dengan roket kembali jatuh ke bumi serta jarak jangkau dapat tercapai 3 digit. The Government on December 17 announced the Australian Defence Force has entered into two significant munitions contracts. Minister for Defence, the Hon Christopher Pyne MP, said the Commonwealth has signed a three-year contract worth AU$81.6 million with NIOA of Brisbane to supply 81mm high explosive and practice mortar ammunition. 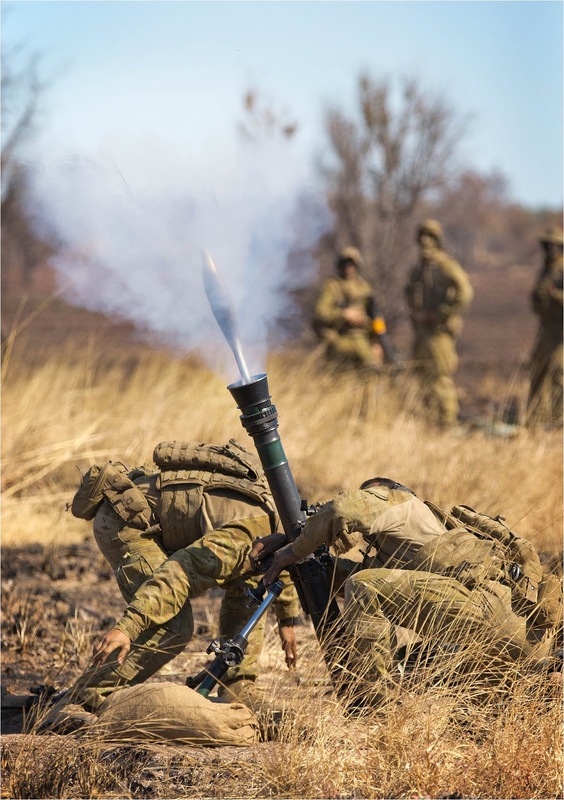 “This acquisition will allow Army to sustain its current mortar capability ahead of projects to modernise the 81mm mortar fleet with a lighter weight system,” Minister Pyne said. This contract builds on NIOA’s other recent awards under the Major Munitions Contract, Future Artillery Ammunition Contract, the recent announcement of their tenancy at the Australian Government owned munitions factory at Benalla and their associated Joint Venture with Rheinmetall in Maryborough, Queensland. Collectively these contracts will create 200 jobs in Brisbane QLD, Maryborough QLD and Benalla in regional Victoria. Minister Pyne said the Commonwealth has also signed a contract with General Dynamics Ordnance and Tactical Systems of Canada. “This is a four-year, AU$62.7 million deal with General Dynamics Ordnance and Tactical Systems of Canada to supply 155mm high explosive howitzer ammunition for our artillery guns,” Minister Pyne said. “This acquisition allows Army to sustain its current artillery capability and support its training requirements as we move towards modernisation of the 155mm fleet under the LAND 17-1C2 Future Artillery Ammunition Project being delivered by NIOA. 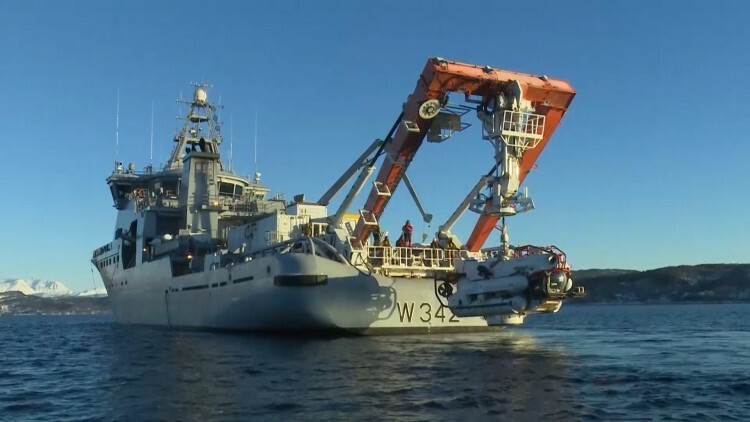 The Indonesian Navy (Tentara Nasional Indonesia - Angkatan Laut: TNI-AL) has submitted plans to acquire two ocean-going hydrographic ships that can be swiftly converted into vessels of opportunity (VOOs) for submarine rescue operations. The request has been submitted for inclusion under the third and final phase of the 'Minimum Essential Force' (MEF) plan, which runs from 2020 to 2024. MEF is a three-phase armed forces modernisation blueprint that began in 2010. 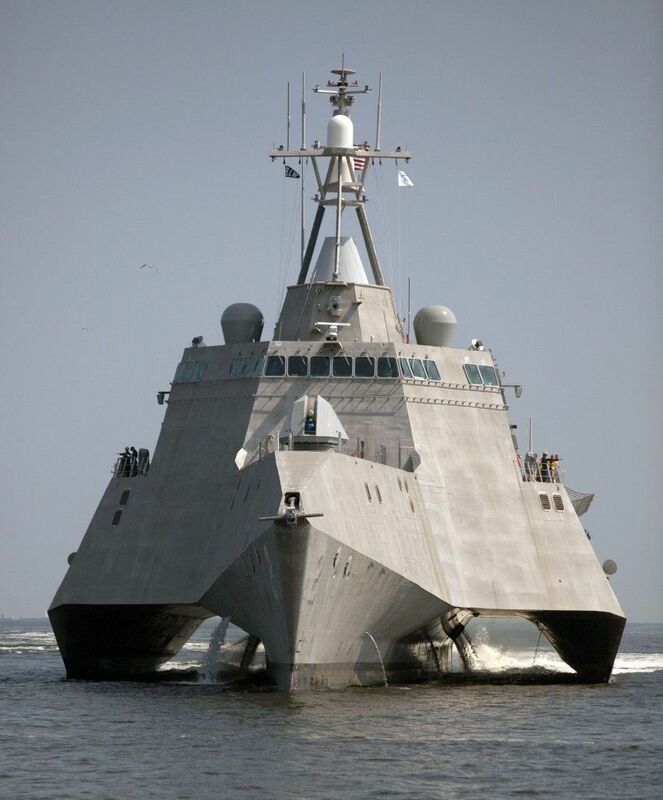 AUSTAL (ASX: ASB) is pleased to announce that the United States Department of Defence has awarded Austal USA a contract to build two additional Littoral Combat Ships (LCS) for the US Navy fleet. This brings the total of new LCS orders booked in calendar year 2018 to four ships. For competition reasons the US Navy has not announced the actual contract value but has stated that award is under the congressional cost cap of US$584 million per ship. “This latest order from the US Navy is a tremendous endorsement of Austal’s unique aluminium trimaran and further evidence of the important role Austal plays in building the United States Navy” Austal CEO, David Singleton said. “Growth in the order book will also continue to drive ship support and sustainment revenues over the coming years adding further reliability to Austal’s earnings. This is an increasingly important part of the revenue base of the company and is likely to continue to grow significantly, well into the future, as ships are delivered and deployed around the world” he said. With nine delivered, and a further ten vessels either under construction or awaiting construction (including the future USS Canberra) these two additional ships represent Austal’s eighteenth and nineteenth ships in the Independence Class. 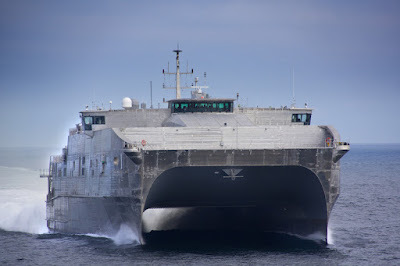 AUSTAL (ASX: ASB) today announced Austal USA has been awarded a US$40,369,095 million (AU$54.9 million) order to fund the procurement of long lead-time materials for the construction of a 103-meter Expeditionary Fast Transport (EPF). This will be the fourteenth vessel of this class built by Austal for the US Navy. This contract follows a similar award for procurement of long lead time items for EPF 13. This order means that Austal has received long lead material contracts for 2 EPF’s in this financial year, one funded from the FY18 US Federal budget and one from the FY19 US Federal budget. It is expected that these contracts will lead to full vessel contracts later in the fiscal year. If awarded, these full vessel contracts will ensure EPF construction continuity out until 4th quarter 2022. Austal was awarded the initial contract to design and build the first 103-meter EPF in November 2008. The EPF is a high speed, shallow draft catamaran, designed for rapid intra-theatre transport of troops and cargo. Reaching rapid speeds of 35-45+ knots allows the EPF to be used for rapid deployment of conventional and special-forces with their equipment and supplies, making it an ideal platform for utilisation in emergency humanitarian disaster relief. 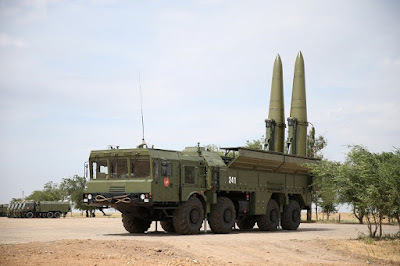 Iskander-M is currently considered to be the world's most modern short-range tactical missile complex and is said to be capable of overcoming all interception systems in the world today. Recently, Russian media has said that the Iskander-M missile - Russia's most modern short-range missile complex will soon be exported abroad. 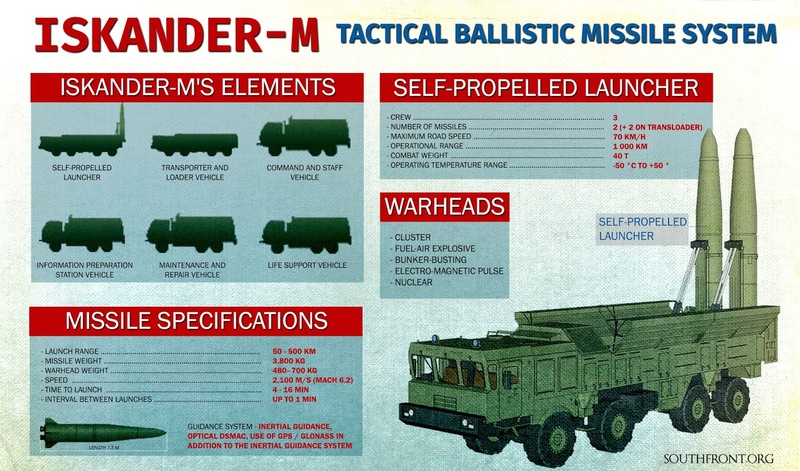 This is inherently feared by the US because currently the missile defense complexes in the US are supposed to be helpless when confronted with Iskander-M missiles. 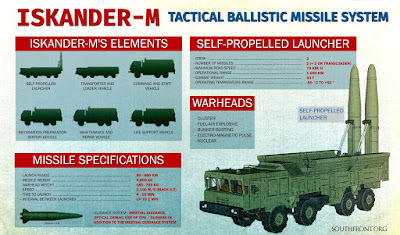 Soon when Russia provides the Iskander-M complexes to allies, the United States will not be able to underestimate Moscow's allies in the future when in the hands of these small nations there are weapons that the US cannot counter-attack. 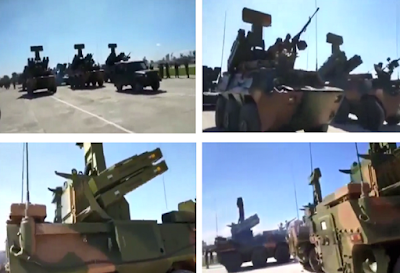 Another noteworthy thing is that Russian media also mentioned that this dreaded Russian offensive weapon system is expected to have great potential in exporting to Southeast Asia. As a country with a long tradition of possessing weapons combinations from Russia, Vietnam will surely be one of the countries that Moscow offers its missiles in the future. The export version of the Iskander missile is known as Iskander-E. This export version was for the first time exported to Armenia - a country under the CSTO joint security treaty headed by Russia. Iskander-E has a maximum reduced range of only 280 km, along with a navigation system that is also said to have been cut down by a few devices, simpler than on the original version but not clear whether or not it is greatly reduced. 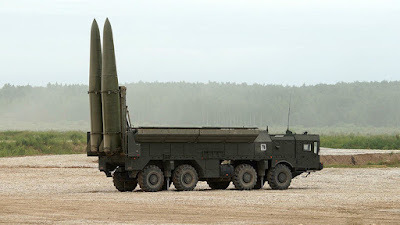 Regarding the warhead, compared to the original version that could carry a thermonuclear warhead, the Russian export Iskander-E version is believed to be only capable of being equipped with beam warheads. Currently the two countries have received Russian export Iskander-E complexes including Armenia with 25 groups and Algeria with 4 regiments - equivalent to 48 combinations. 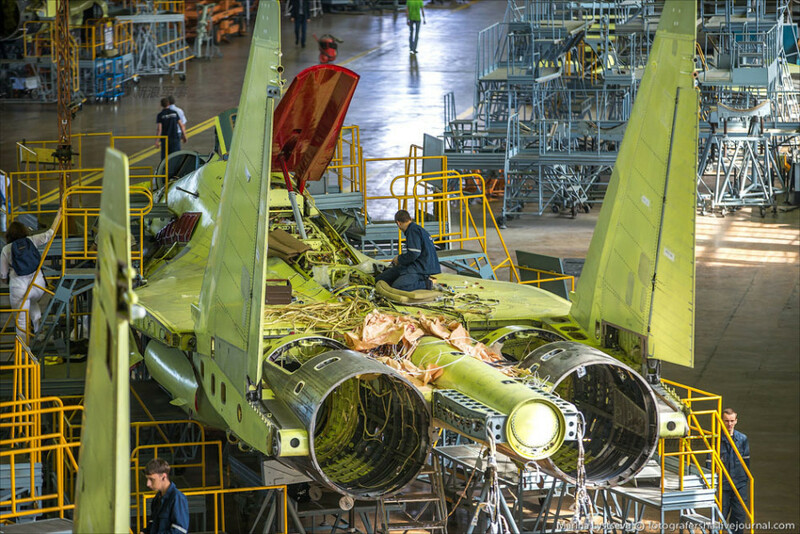 Currently, it is unclear whether the customers in Southeast Asia are targeted by Russia when they intend to export this weapon but it is almost certain that Vietnam and Indonesia will be the first two Russian-targeted countries. SEOUL (Yonhap) -- South Korea has completed the preliminary design of a 3,000-ton indigenous submarine that features capabilities for longer-duration and speedier underwater operations, Seoul's arms procurement agency said Wednesday. Since July 2016, Daewoo Shipbuilding and Marine Engineering Co. took the lead in designing the Changbogo III-class Batch-II submarine, whose construction is set to begin in the latter half of next year, the Defense Acquisition Program Administration (DAPA) said. 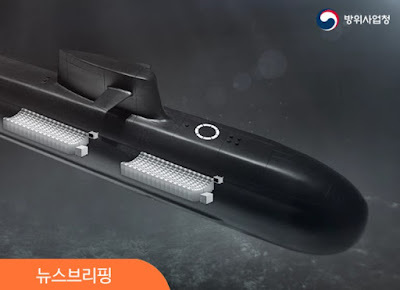 The next generation submarine is to be equipped with a locally developed lithium battery, which will allow longer underwater operations, and advanced sonar and combat tools that will enhance its target detection capabilities and overall survivability. "It is expected that by possessing the strategic weapons system designed based on local cutting-edge technologies, the country will be able to further strengthen the Navy's independent defense capabilities," the DAPA said in a press release. The DAPA said that 80 percent of its component parts were made by Korean businesses. 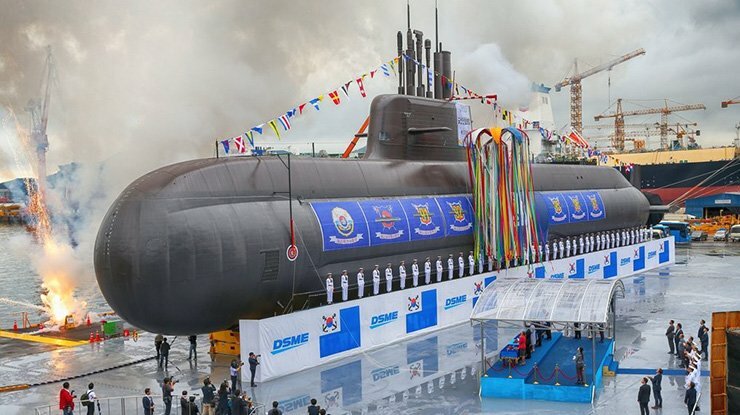 In September, Korean launched the Changbogo III-class Batch-I submarine, named after a prominent South Korean independence fighter, Dosan Ahn Chang-ho, with its operational deployment slated for January 2022. 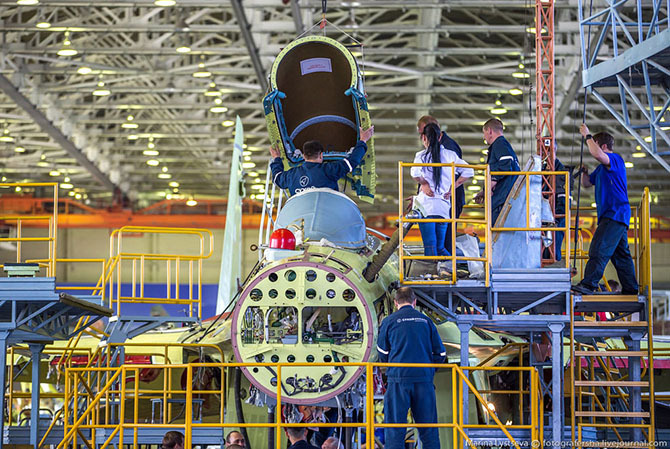 Seventy-six percent of the Batch-I submarine's components were produced by local firms. Kementerian Pertahanan mengatakan bahwa Indonesia tengah mempercepat pengadaan lima unit pesawat C-130J Super Hercules. Kepala Badan Sarana Pertahanan Kementerian Pertahanan Laksamana Muda TNI Agus Setiadji mengatakan meski anggaran APBN baru turun pada Januari namun pengadaan pesawat itu sudah dilakukan sejak kemarin. “Sudah proses pengadaan, tinggal tanda tangan kontrak,” ujar Agus, Kamis, di Jakarta. Agus mengatakan bahwa Indonesia memiliki kebutuhan akan pesawat militer berbadan lebar itu. Selain untuk menggantikan pesawat Hercules yang sudah lama, ujar Agus, Menteri Pertahanaan RI Ryamizard Ryacudu sudah mengamanatkan agar pengadaan alutsista disesuaikan dengan kebutuhan penanganan bencana. 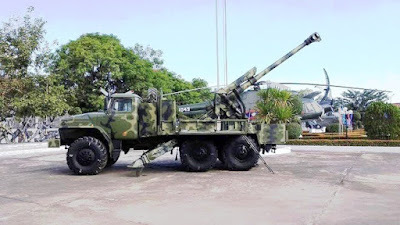 Selain Hercules, lanjut Agus, pihaknya juga tengah mengurusi pengadaan pesawat amfibi TNI Angkatan Udara yang mampu memadamkan kebakaran hutan. Sejumlah negara, kata Agus, telah mengajukan produk-produk pesawat amfibi unggulan mereka. “Ada beberapa negara, saat ini masih diproses,” ujar dia. 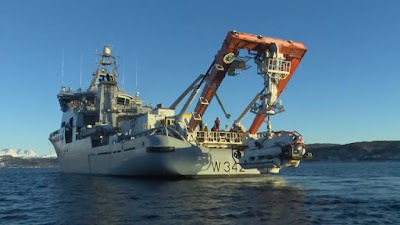 Selain itu, lanjut Agus, pemerintah juga tengah menjajaki pengadaan dua unit kapal selam yang dilengkapi dengan Remotely Operated Underwater Vehicle (ROV) dan bisa menjangkau laut hingga kedalaman 150-300 meter. Tahun ini, kata Agus, Indonesia telah membeli sejumlah alutsista, di antaranya kapal penyapu ranjau, kapal patroli, kapal selam, kapal rumah sakit dan medium tank. 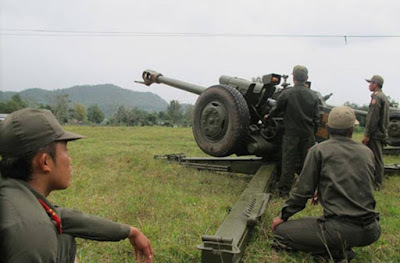 Recently, the Lao People's Army has begun its extensive modernization through the purchase of a new generation of weapons and equipment originating from many different countries. In addition to Russian-made weapons such as the Yak-130 trainer, T-72B "White Eagle" tank, the proportion of Chinese weapons in the Lao Army is also increasing. In fact, since the Lao special forces soldiers marched with carbine QBZ-97B, this changing trend has also been mentioned, followed by "surprise" to reveal CS/SH1 self-propelled self-propelled guns. And most surprisingly, recently in the parade preparation for the 70th day of the army's establishment, the Yitian low-range air defense missile complex (Tianlong 6) appeared. The Yitian anti-aircraft missile complex consists of a combat module mounted on a 6x6 WZ-551 armored vehicle chassis built by Northern Defense Industry Group - NORINCO of China. The system is equipped with 8 Tianlong 6 short-range surface-to-air missiles, which is a modified version of the air-to-air missile TY-90 (Sky Swallow-90) with an effective range of 300-6,000m, high combat operation 4,000 m.
The shooting for the TY-90 is a fairly passive, multi-phase array array radar placed on the top of the operational module, on the armored WZ-551 chassis still retaining a heavy 12.7 mm machine gun to in charge of protecting the crew in front of infantry soldiers. The Chinese-made Yitian low-range anti-aircraft missile complexes are rated to be more technically superior to the existing Strela-10 in the military service in both the range and accuracy of radar. 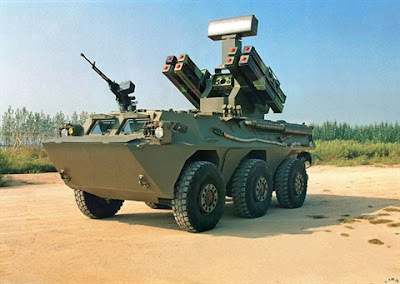 In the future, however, the Lao People's Army will not eliminate the Strela-10 that uses it in parallel with Yitian, which will be the two vehicles that play the role of protecting the lineup of armored units. 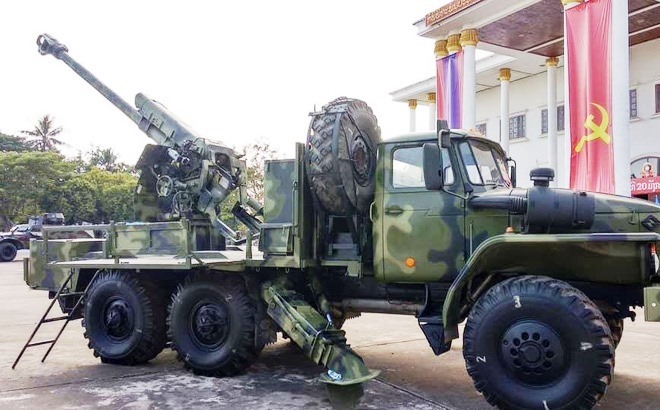 The strong investment by the Lao Army in the anti-army air defense is a perfectly reasonable policy, when recently they received the T-72B White Eagle tank and left the possibility of buying more vehicles. other modern world. It was reported on 26 December 2018 that the Royal Thai Army received the main battle tank VT4 (MBT-3000) produced by NORINCO, defence industry company of the People's Republic of China, is the second set of 10 units already. The latest VT4 main tank has been transported by boat at Thung Prong Pier, Sattahip, Chonburi since November 2018, and has been transported by car to the low-land trailer. The Cavalry Center, Adisorn Camp, Saraburi, to conduct a performance test before the examination was delivered in December 2018. According to the VT4 main battle tank supply project, PHASE 1, 26 cars, a budget of 4,4 million baht ($ 147 million) in the year of 2016, received in October 2017. 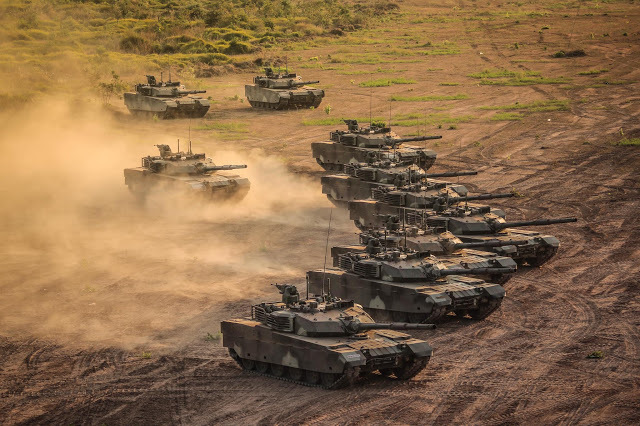 The supply of VT4 main battle tanks, PHASE 2, 11 vehicles of 2,000 million baht ($ 60 million) in the year 2017 that has already been delivered above, the Thai Army now has 39 VT4 main battle tanks (including repair vehicles). The project value is the budget 8,000 million baht ($ 218 million). Lastly, from the documents of the Army Ordnance Department on 15 November 2018, the budget for Project for supplying VT4 main battle tanks, PHASE 3, amount of 14 cars, amount 2,362,217,177 baht ($ 73,425,976), complete with equipment type 5, type 5, various types and sizes, consisting of artillery shells, 125mm tank, drill type, shell Balance with the trajectory tail (APFSDS-T: Armor Piercing Fin Stabilized Sabot-Tracer) 190 shots, 90 explosive missiles (HEAT-T: High-Explosive Anti-Tank-Tracer) (HE-T: High Explosive-Tracer) 150 shots and 12.7x108mm machine gun penetration Fire armor (API: Armor Piercing Incendiary) with 5,830 ammunition joints. 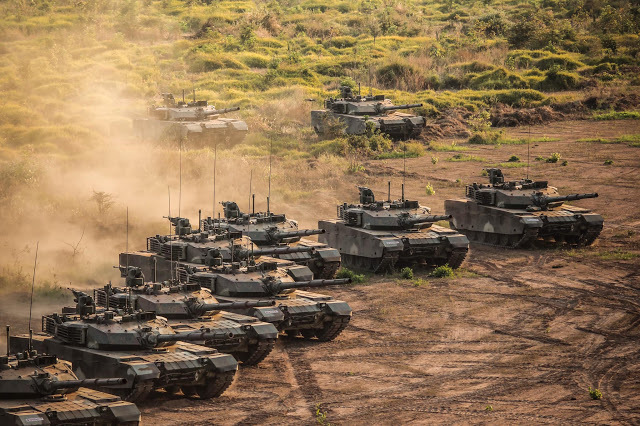 If the approval of the procurement of VT4 main tanks, Phase 3, another 14 vehicles have been approved and signed the supply contract will make the Thai Army have VT4 main battle tanks and armored recovery vehicles to replace 53 tanks in the same family, as part of the replacement of the M41A3 light tanks from US that have been in service since 1962. In addition to the VT4 main battle tank in the training section of Cavalry school of the Cavalry Center and the Army Ordnance School, the VT4 main battle tank will be deployed in two cavalry battalions of the 7th Cavalry Regiment that is a direct unit of 3rd Cavalry Brigade by paying the tank parallel to each other. 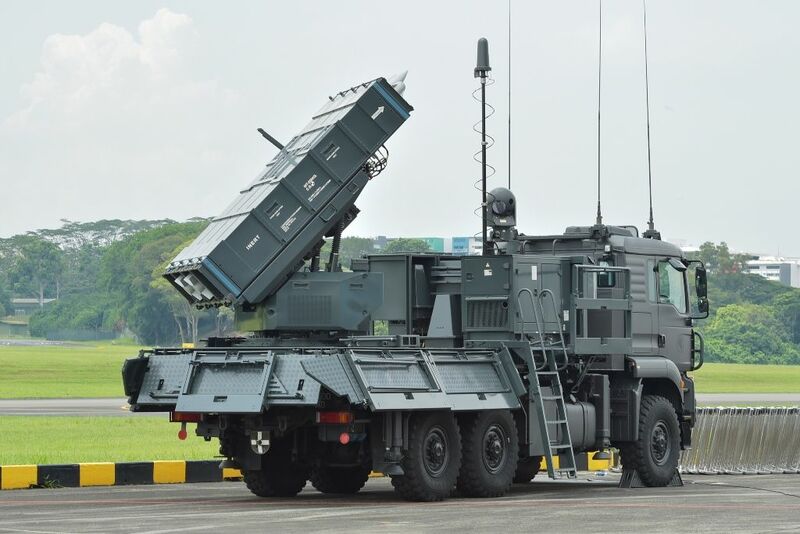 The Philippine Air Force (PAF) has chosen the SPYDER (Surface-to-air PYthon and DERby) air defense system developed by Israeli Rafael Advanced Defense Systems, MaxDefense Philippines confirmed citing sources. During the PAF change of command ceremony on December 21, former PAF chief Lieutenant General Galileo Gerard Kintanar Jr. said that among the major acquisition projects that are nearing conclusion in early 2019 is the project for acquisition of 3 ground based air defense systems (GBADS) from Israel. “SPYDER is a quick reaction, low level surface-to-air missile system designed to counter attacks by aerial threats,” Rafael says in SPYDER product webpage. 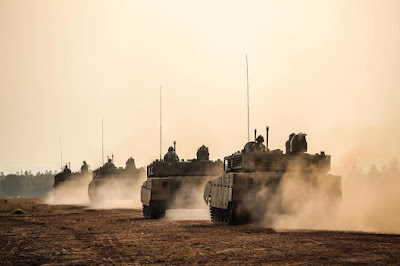 It added that the system provides effective protection of valuable assets, as well as first-class defense for forces located in the combat area. 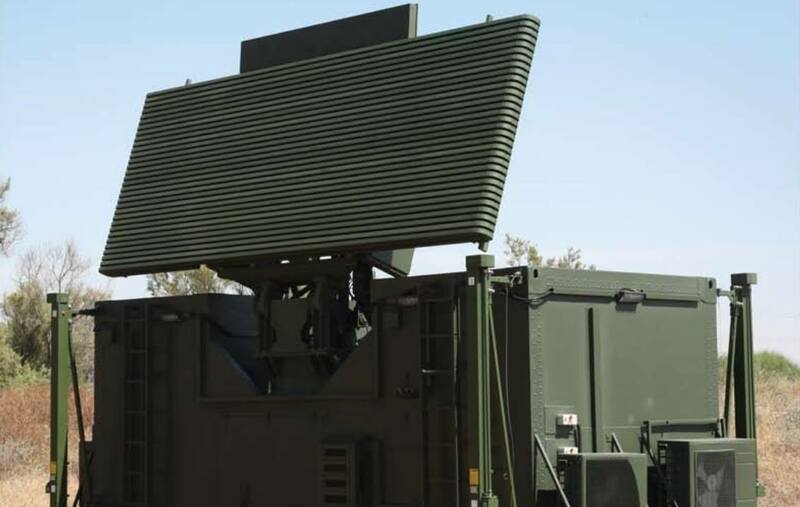 “PYDER incorporates RAFAEL’s most advanced, proven performance air-to-air missiles: the I-Derby active radar (RF) missile and Python-5, a dual waveband Imaging Infra Red (IIR) missile,” Rafael explained. The system has short range (SR) and medium range (MR) types. SEOUL (Yonhap) -- South Korea on Wednesday approved a basic plan to develop a homegrown Aegis-equipped destroyer that will enhance the Navy's capabilities to defend greater maritime interests, Seoul's arms procurement agency said. 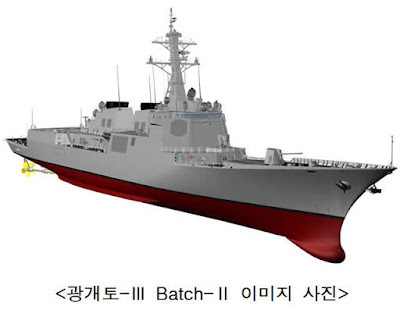 The Defense Project Promotion Committee decided on the Korea Destroyer Next Generation (KDDX) project, under which the country will locally develop the destroyer by the late 2020s with a budget of around 1.8 trillion won (US$1.59 billion), the Defense Acquisition Program Administration (DAPA) said. Seoul plans to deploy six KDDX destroyers by the mid or late 2030s. The total cost of developing and producing the six vessels is expected to top 7 trillion won, observers said. "The KDDX is a project to procure destroyers for the purpose of safeguarding maritime interests and responding to potential disputes at sea," the DAPA said in a press release following the committee session presided over by Defense Minister Jeong Kyeong-doo. The committee also approved a plan to upgrade the Link 16, a tactical data link system installed on warplanes or warships to ensure the smooth sharing of information with the U.S. military during training or other combined operations. To upgrade it, Seoul will purchase an enhanced encryption device through a government-to-government foreign military sale (FMS) program with Washington. Three U.S. defense firms are expected to vie for the project, worth 400 billion won, to procure the device by the mid-2020s. Australia’s first Aegis combat system based guided missile destroyer, HMAS Hobart, has ended the year in spectacular style, conducting weapons and systems evaluations with the United States Navy off the US West Coast. HMAS Hobart’s crew deployed to the United States well aware that this was no ordinary deployment. At stake was the Destroyer’s ability to successfully operate the most advanced weapons system ever owned by the Royal Australian Navy. 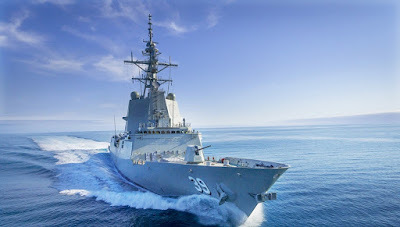 Hobart also became the first ship of its class and the first International Partner to demonstrate an ability to operate in synch with US forces, known as a ‘Co-Operative Engagement Capability’ (CEC). The USN wasted no time in putting Hobart through its paces, particularly in relation to the Aegis combat system. HMAS Hobart's crew was also challenged by a series of tests and demonstrations to verify and validate the capabilities of the ship. Part of this validation included a series of at sea tests known as Combat System Ship Qualification Trials (CSSQT). The aim was to achieve a sustainable level of combat and weapon system readiness. The Australians didn’t disappoint. Commanding Officer of HMAS Hobart, Captain John Stavridis says the Americans threw everything at his people, who passed with flying colours. 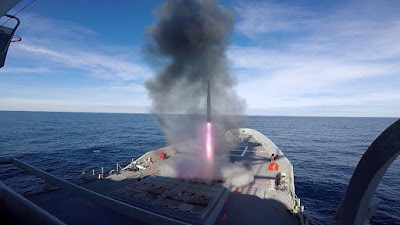 "We were presented with some of the world’s toughest and most challenging threats; modern anti-ship missiles, maritime strike aircraft, fighters and high speed attack craft. On every occasion we successfully defended all threats," said CAPT Stavridis. The firings were also a point of pride for members of the Ship's Company. Able Seaman Electronic Technician Stacey Verrall was ecstatic to be able to complete validation in the test and recognition of the training and effort required to achieve such a positive outcome. "This is what we have trained for and to be able to conduct the missile firings here has been a terrific opportunity and a humbling experience," AB Verrall said. CAPT Stavridis said this was a true team effort. “None of this would have been possible without the incredible men and women who operate HMAS Hobart," CAPT Stavridis said. "They took this unknown and untested first-of-class ship and transformed her into a warship that is truly first class". HMAS Hobart returned to Fleet Base East to be met by the Fleet Commander, RADM Jonathan Mead. RADM Mead was also proud of the achievements of HMAS Hobart. "This ship represents the future of the Royal Australian Navy’s surface combatants: capable, competent and lethal. "With her recently commissioned sister ship, HMAS Brisbane, and soon to be delivered NUSHIP Sydney they will be able to defend our Fleet against any threat." Most importantly for the crew of HMAS Hobart, many families and friends were there to meet them and welcome them home in time for Christmas and a well-deserved break after a busy year.